While some men can get by without a hearing aid, they need to consider the potential impact hearing loss has on their life, relationships, and even cognitive health. “Left untreated, hearing loss is associated with higher risks for social isolation, depression, dementia, and reduced physical activity,” says Dr. Rauch. 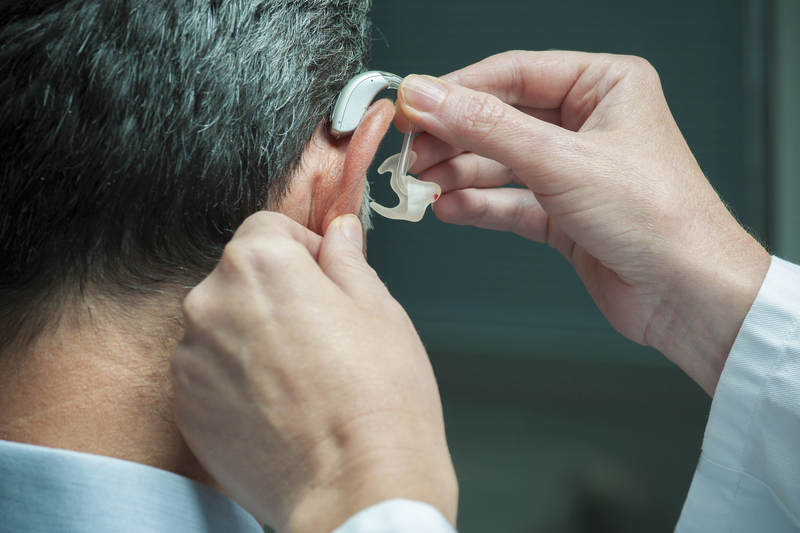 The first step to knowing whether you need a hearing aid is to get your hearing checked by a certified audiologist. (Ask your doctor for a recommendation.) Hearing tests measure loudness and clarity of sound — how loud the sound needs to be for you to hear it and how clear the sound is. People with normal hearing can hear sounds with a loudness between zero and 25 decibels (dB). When the softest sounds you can hear are louder than 30 dB, you may be missing a significant amount of speech and are probably a candidate for a hearing aid. It is important to note that hearing aids are amplifiers — they make sounds louder, but not clearer. If you have trouble understanding speech in a noisy environment (a clarity problem), there are ways to improve communication without a hearing aid. For example, when speaking with someone, sit face-to-face and reduce background noise, like the TV, or distractions, like reading the paper. Be fully focused and engaged. “Ask the person not to shout, but to speak more slowly and more clearly in order to hyper-enunciate words,” says Dr. Rauch. Age-related hearing loss and noise-induced hearing loss tend to affect both ears equally. If hearing loss occurs in one ear but not the other, it could be a result of a stroke, infection, or tumor, and requires a medical evaluation, says Dr. Rauch. People with single-sided hearing loss, or hearing loss that is different in each ear, are less likely to benefit from a hearing aid in the bad ear. “These people seem to have trouble fusing the electronic sound of a hearing aid with the normal sound in the opposite ear,” says Dr. Rauch. Hearing aids also have a learning curve. “If you’ve had a gradual, progressive hearing loss over a period of years, your brain is out of practice processing and filtering the full spectrum of normal sounds, so it needs time to adjust,” says Dr. Rauch. Wear your hearing aids for about an hour daily and then gradually increase your time over a few weeks. You don’t have to wear them all the time either. Put them in only when you need to, but the more you use them, the quicker you will adjust. A hearing aid center offers a better range of features, options, and prices than a franchise, which often has limited choices. A single aid can cost from $3,000 to $4,000, although most vendors offer a discount for the second one. Medicare and most other insurance plans don’t cover hearing aids, but the Veterans Administration might. Check the consumer protection laws regarding hearing aids for your state. The average hearing aid lasts about five years. Nice information about hearing Aids, according to factors, I read a factor about price range some best hearing aids also come at reasonable price while searching I saw a website on google which contains good stuff of hearing aids with reasonable price or yeah all types too. This information is out-of date. It’s been decades since hearing aids were simply amplifiers. I would have expected Harvard to ask a specialist for input before writing this article. The Phonak aids that I wear are NOT just amplifiers. They run sophisticated algorithms that drastically improve clarity. Read up on their AutoSense OS to see what they can do. “It is important to note that hearing aids are amplifiers — they make sounds louder, but not clearer.” There are PSAP’s and then there are hearing aids – and hearing aids help you both hear and understand more clearly what you want and need to hear; they don’t amplify forks clanging on plates and voices. They are intelligently designed and the advancements each year are simply better than ever. “If you have trouble understanding speech in a noisy environment (a clarity problem), there are ways to improve communication without a hearing aid. For example, when speaking with someone, sit face-to-face and reduce background noise, like the TV, or distractions, like reading the paper. Be fully focused and engaged. “Ask the person not to shout, but to speak more slowly and more clearly in order to hyper-enunciate words,” says Dr. Rauch.” While these strategies are sound and have merit, the technology available to help people communicate as “normal” as possible is available. I disagree with the point the hearing aids are only amplifiers. With today’s technology, hearing aids are able to distinguish between speech and background noise through directionality and speech processing. For information on hearing aids, a lot of the time your local hearing instrument specialist will know more than an audiologist. I do know that people who seek early treatment often report that their lives are dramatically improved. It’s a great gadget for people who have problem with this. This is opportunity that they can listen again and enjoy their lives. We should thanks to people who created this devices. Perhaps I should have said, I have lost some tones completely due to job related noises, they cannot be amplified. Other than that I can hear many voices, and 0ther noises without the assist of hearing aids. Some other tones were parcially lost, and could be amplied. Loud music is generally not a good idea, and is something I have always avoided, even when I had good hearing. I and Many of my fellow workers were buying hearing protection before our company began offering it, somewhat belated sad to say. The doctor I refered to was a doctor in his field, not an MD. Wait, wait! You don’t have to spend $5k on hearing aids! Dr. Rauch is correct in stating that this is how much they’d typically cost you. HOWEVER… I am stubborn and did not want to accept this fact. Being a wearer of 1-800 Contacts and then Warby Parkers, I thought there had to be some similar viable online alternative. I paid $1200 for a pair from Audicus and they seem to be working well (my husband says I’m saying “huh?” a lot less – he likes them!). There are other firms doing this over the web too (I looked at Embrace and MD Hearing Aid, but Audicus reps were by far the nicest… I’m easily swayed). BTW, I did have to get a hearing test done at my audiologist. She wanted me to buy $5400 hearing aids with all sorts of tech I didn’t understand, but instead I said I’d think about it. Got a copy of my test so I could go do my research. Funny that I’m a woman commenting on an article about how mostly men have hearing loss… Go figure! How do you know you’re husband is better? Where real measurements performed? What prescriptive method was used to determine his frequency response? Subjective improvements are important, but your brain still can develop auditory neuropathy without the correct prescription. So, you only hurt yourself or your husband by not going back to the Doctor of Audiology to ask more questions. There are other levels if technology as know. Audicus hearing aid are technology from the early 90’s. You’ll spend more money on the monthly cable bill or a cellphone bill than the the life of advanced hearing aids that allow you to understand speech in all listening situations, not just quiet ones. I, a 74-year-old male, have been using a Zuhoren sound amplifier for a couple of months in one ear. I know it helps me because, if I open the battery case, thereby turning it off, I don’t hear as well. The friend who gave it to me said the Britzgo BHA 220 is better, so I just ordered one (about $60). These devices may help, and if they don’t, they are sufficiently cheap to be nearly disposable if they fail after the 1 – 12 month warranty. I am on my 3rd set of hearing aids, each from a different dealer. This has taken place over a period of over 10 years. I have lost some sounds alltogether. So far no one has been able to solve the problem. They each led me to beleive that had the answer, in my need I took them at their word, which made the sale, but not for my satisfaction, just theirs. MY first set was from a doctor who had a Doctorate in this field. Now I wonder if this last set has made my hearing worse. I no longer feel that I can trust anyone of them to do anything but to make promises just to sell their product. I’m not an ear doctor, but what do you mean “I have lost some sounds…”? 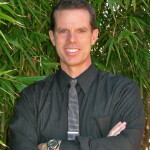 Do you have hearing loss and the hearing aids don’t help? I’m just curious because I love my hearing aids. If you think the doctors selling the hearing aids are giving you bad info, you may want to ask people not selling anything. 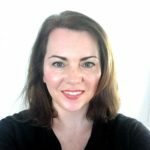 I’ve asked a few questions at http://www.everydayhearing.com (not specific to hearing aids, but other hearing stuff) and they usually respond. They don’t sell anything to my knowledge, may be worth a try.